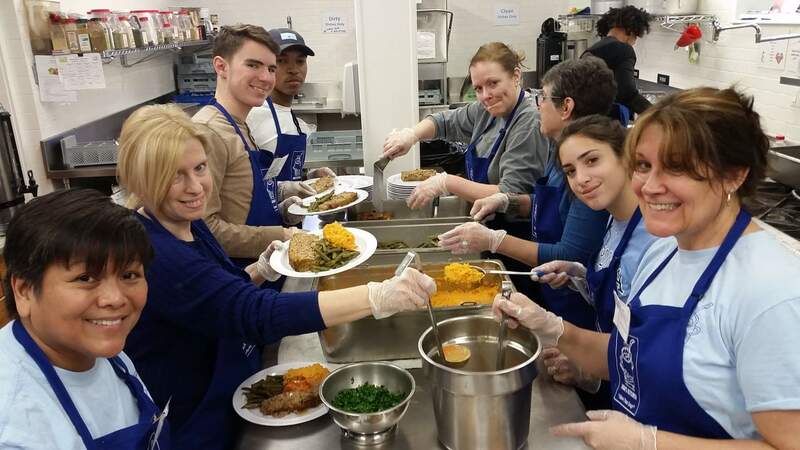 Toni’s Kitchen is a food ministry at St Luke’s Episcopal Church in Montclair. We welcome everyone to a hot, nutritious meal every Thursday, Friday and Saturday from 11:30 a.m. – 1:00 p.m. without screening for income or need. We are also open for Sunday dinner from 5:00-6:00 p.m. Toni’s Kitchen, which is named after its first cook, Antoinette “Toni” Green, has been in continuous operation as a non-profit, charitable entity under St Luke’s Church since its founding in 1982. Please consider joining us for a meal. If you’re interested in being a part of the effort, volunteering at Toni’s Kitchen to help prepare and serve meals is a great way to get started. For more information or to contact Toni’s Kitchen, please email toniskitchen@gmail.com, or visit tk.slechurch.org. We would love for your to join us!